Wedding planning is rarely a picnic, regardless of the size and style of the celebration. There are just so many moving parts and it’s such an important an occasion, but before you even get into the planning process itself, you have to create a budget plan for it. Think of it as the plan before the planning. And make no mistake, if you get this initial plan right, then you’ll have a much better shot of pulling off your dream wedding. That’s why today’s post is all about putting our time and experience in wedding photography in NJ to good use by passing on some of the best budget planning tricks we’ve picked up along the way. We hope they help! Factor in all the small things. For the most part, it’s relatively difficult to forget any of the major expenses when it comes to your budget plan. In fact, most newlyweds-to-be tend to naturally start with their top priorities and then work their way down from there, but the problem is that many don’t work their way down far enough. Whether it’s pre-wedding beauty treatments, meals out with friends or relatives who are helping with the planning, etc., little expenses like these are the kinds most often overlooked by couples when putting their budget plans together. In addition to that, they’re also the kinds of expenses that can add up fast. 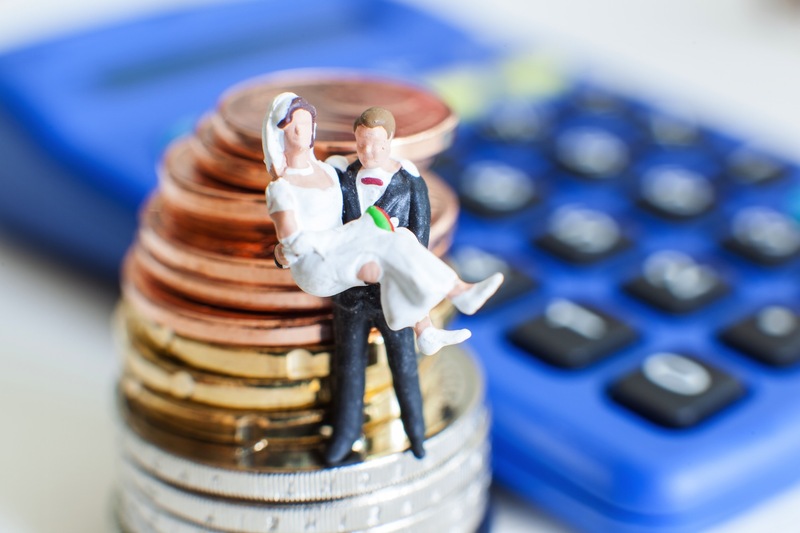 When it comes to your wedding planning budget, the devil truly is in the details, which is why it’s critical that you consider as many of the little things as you can think of early on, especially if you don’t have a planner helping you. That way, you can keep costs from adding up in unexpected areas later. Determining your overall budget and then sitting down with your partner and prioritizing to determine how to best allocate your funds is step #1 in budget planning. That goes without saying, but once you decide on your overall budget, you may want to seriously consider creating a contingency reserve. What that means is that you and your partner settle on a reasonable number that you believe will be enough to bring your celebration to life, but then you settle on another, inflated number that you agree you could push it to if absolutely necessary. It doesn’t have to be much, maybe just a 20% increase. The point is that doing things this way will encourage you and your partner to plan around the initial budget. That way, should unexpected expenses start to add up or should something else push the budget plan off the tracks a bit, then at least you’ll be prepared with your reserve. Utilize the pieces on the board. While prioritizing your costs to decide how much of your funds should go where is essential to budget planning, it can also be very helpful to think carefully about the pieces you already have on the board before adding any new ones. Take it from us, the more ways you can come up with to use what’s already available to you rather than adding costs, the more money you’ll have for other areas. For instance, perhaps your venue is already decorated beautifully and in a way that aligns with the theme or style of your wedding, in which case you wouldn’t likely have to spend as much on reception decor as you may have thought. That means that you could then use those savings in other areas. But if you don’t think about opportunities like these early on when planning your budget, then it can be much more difficult to spot them once the actual wedding planning process is underway. Trust us, once that starts, things can get pretty hectic, fast. Plan the perfect budget & you can plan your perfect wedding. The bottom line is that there’s always a risk of wedding planning becoming an incredibly chaotic process, regardless of how well you’ve planned your budget for it. That’s why it’s so important to do everything you can to keep things under control, from the get go. We hope these tips help you do it and don’t forget to check back with us for more in the future. Good luck!